The students placed six trays filled with Lepidium sativum, a type of garden cress, into a room without radiation, and six trays of the seeds into another room next to two routers that according to the girls’ calculations, emitted about the same type of radiation as an ordinary cellphone. Over the next 12 days, the girls observed, measured, weighed and photographed their results. 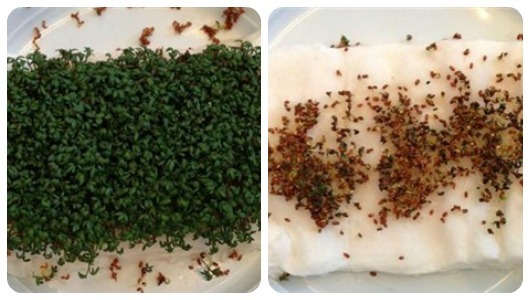 By the end of the experiment the results were blatantly obvious — the cress seeds placed near the router had not grown. Many of them were completely dead. Meanwhile, the cress seeds planted in the other room, away from the routers, thrived.